Rosh hashanah (jewish New Year holiday) concept. Traditional symbols. The JN invited local rabbis to share a holiday message with the community. This summer, for the first time in my life, I was arrested. I participated in the Poor People’s Campaign, six weeks of marches in Lansing and across America to bring attention to social and political issues. Thanks to the efforts of Rabbi Alana Alpert, among others, several clergy and activists of all religions received specialized training in how to risk arrest through acts of civil disobedience. Risking arrest requires special preparation, such as securing “arrest buddies” to hold our things and learning to comply with police arrest instructions to avoid committing a felony. Certain moments of preparation caused me personal consternation. For instance, we had to tie fabric bands around our upper arms so our “arrest buddies” could find us in the crowd. Personally, this stoked feelings of fear because it was reminiscent of being a target, just as my grandparents were in pre-WWII Austria. What is more, we had to write the phone number of our pro-bono lawyer on our arm in permanent marker. Writing that number on my arm, of my own volition, gave me chills. I thought of the great-grandmother I never knew, as well as my great-aunt, uncle and cousin, all of whom died in Auschwitz with tattoos on their arms. My father once told me a story about his mother standing on a milk crate in the market square, denouncing the local folk for complying with increasingly frequent arrests of Jews in her hometown of Vienna. He was a young boy, perhaps 8 years old, and all he could recall was his fear that his mother might be stoned or arrested on the spot for speaking up. Indeed, he was a fairly silent man in his maturity — I’m not sure he ever recovered from that moment of fear or the many that followed it. On the day that I was arrested in Lansing, along with 30 others, I remember feeling visceral fear. While I wanted to be fully present to the protests at hand, I was also aware that deep inside, part of me was relating to my grandmother on her milk crate, risking everything for the sake of righting society’s wrongs. How brave she must have been. How I wish I could have talked to her about it. The Hebrew word for repentance, teshuvah, contains within it the word “turn” or “return.” But return to what? My intention in protesting on that hot day in Lansing was to turn my privileged place in American society to the good. I see people, including our elected leaders, turning away from people in need. Perhaps teshuvah, turning, also means returning our attention to those who need our help the most. May your turning and returning this year be for the good. For a sweet and renewed year, L’shanah tovah u’metukah. Aura Ahuvia is a rabbi at Congregation Shir Tikvah in Troy. It’s hard to imagine the convenience of road trips today before highways and cruise control. Interstates get us where we want to go; all we need to do is set the GPS, initiate cruise control and we’re off. With the lull of the highway, we arrive at our destination almost by instinct and wonder how we got there. Mile after mile, though alert, we’re in a zone where our minds wander and we’re on autopilot. So, here we are again! It’s the High Holiday season and we’ve cruised through another year. It feels like we say this every year, but every year it rings true that time flies by and life seems like a blur. You’re likely to remember the time spent with family and friends, but you might have to pause to recall the positive changes you’ve made, the lessons you’ve learned and the ways in which you’ve grown. Reflection, however, requires us to “inconveniently” pause from the hustle and bustle of our everyday lives. It requires significant effort on our part to consider if we ought to change. It is much easier to continue conducting our lives with our well-established forward momentum. And now, automation that used to be relegated to fantasy has quickly become reality. We can stay connected more easily thorough social media, vacuum our houses effortlessly with a robot vacuum and order groceries (and nearly anything else) instantaneously with the push of a button. Activities that required more of our attention now allow us to sit back and pass even more time mindlessly. How will you use your reclaimed time? Will you mark the passing days and acknowledge growth and set goals for the future or will you be just as bewildered next year at this time? After all, it’s closer than you think. As you embark through year 5779, have a safe, enjoyable and rewarding journey — and mind the mile markers along the way. Rabbi Azaryah Cohen is head of school at Frankel Jewish Academy in West Bloomfield. My rebbe, Rav Ahron Soloveichik, of blessed memory, used to call Rosh Hashanah the holiday of belonging. It is the holiday when all Jews can feel they are an important part of a people chosen by God to carry out the holy, ethical and moral mission of the Torah. So, we go into Yom Kippur, with its awesome questions of “who will live, who will die, who will prosper, who will wither,” not just as vulnerable individuals, but as members of a people that God has blessed. The mitzvah of shofar is not to blow it yourself, but, rather, to hear the shofar being blown. Of course, if you are talented, you can blow the shofar for your own self. In general, though, the mitzvah forces us to rely on someone else to make the many sounds of the shofar. Even the shofar of Sinai that the Israelites and God heard so many thousands of years ago was blown by someone or something else. So, let us enter this new year understanding that we are part of something greater, and that something greater, our people, our community and our city, is there to give us strength, support and love as we face the exciting challenges and opportunities of the year ahead. 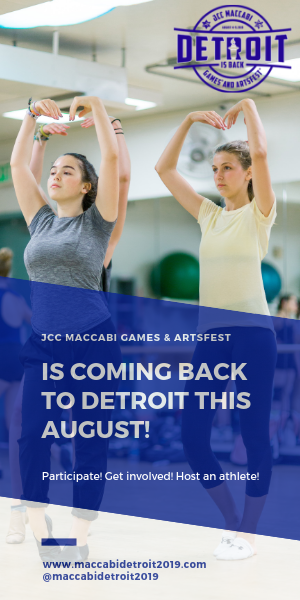 As my family and I head into this new year of 5779, we also feel we are joining a special community, the Metropolitan Detroit Jewish community. 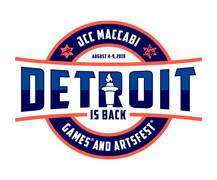 In fact, since Rosh Hashanah commemorates the creation of all of humankind, these holy days remind our family that we are members not only of a world-renowned Jewish community, but also a broader Detroit city and metropolitan community that is bursting with potential and demonstrating that potential more and more every year. As our family, and perhaps many families, enters the new year not totally knowing what to expect, we know that Rosh Hashanah tells us loud and clear with the shofar and the awe-inspiring tunes of the High Holiday prayers that we are an integral part of a loving, caring and supportive community. L’shanah tovah and shalom al Yisrael. Asher Lopatin is rabbi of Kehillat Etz Chayim of Detroit.